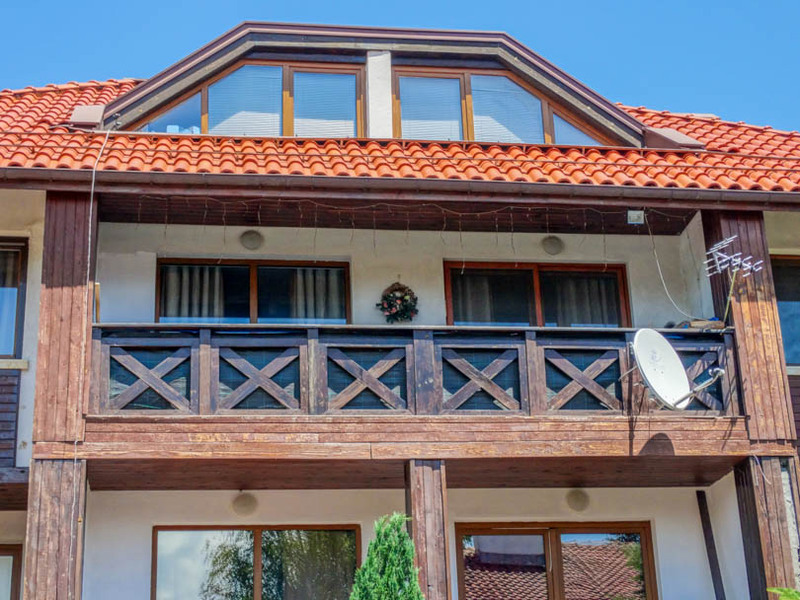 Selling a property on Efir? 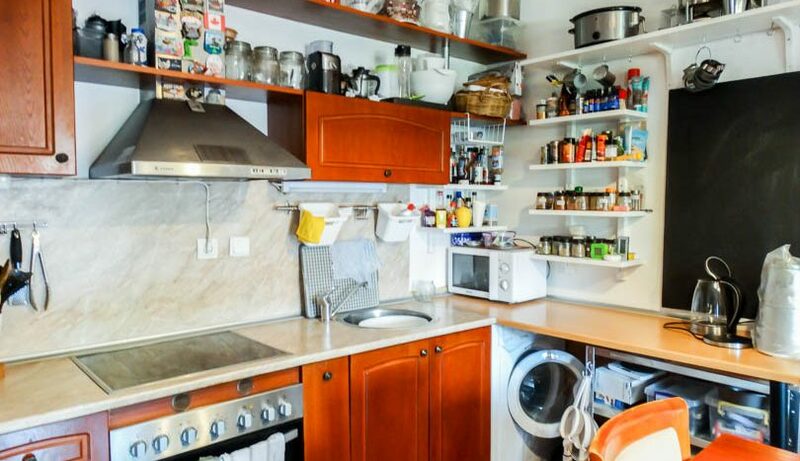 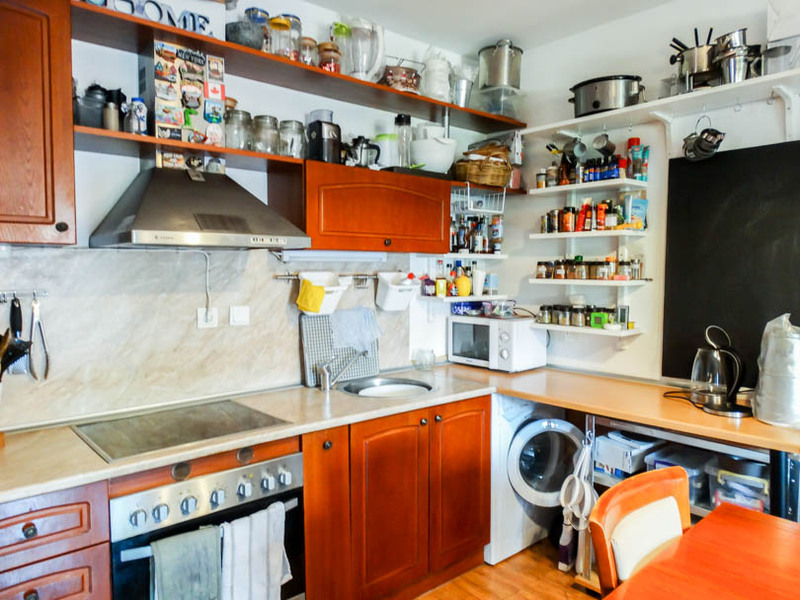 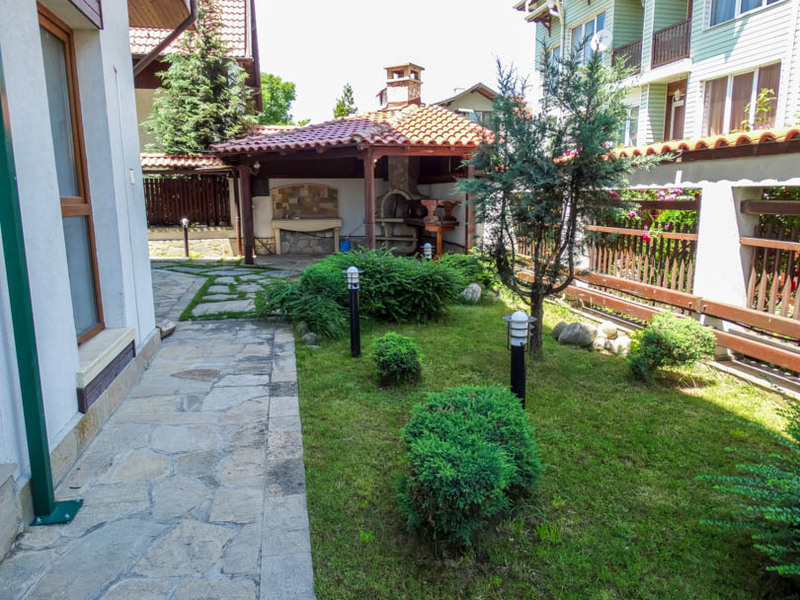 A rare opportunity has arisen to purchase an apartment in a well maintained building with BBQ and garden area but with no maintenance charge. 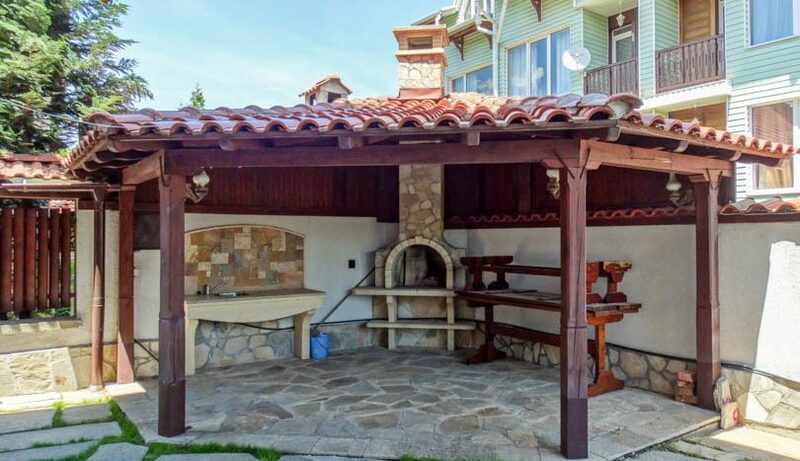 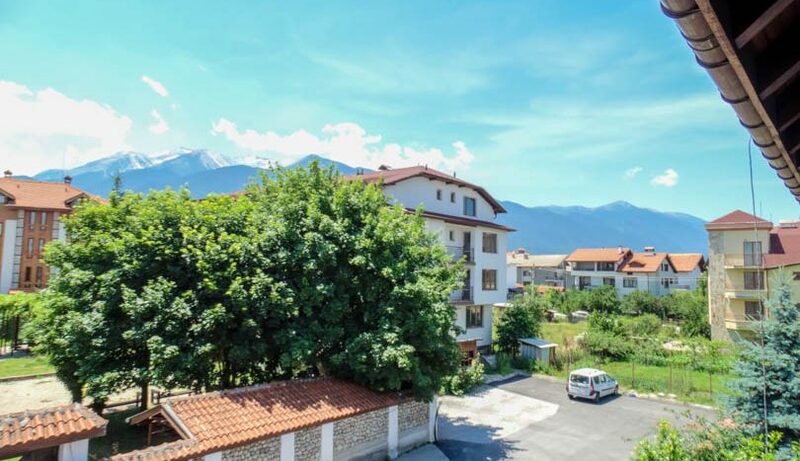 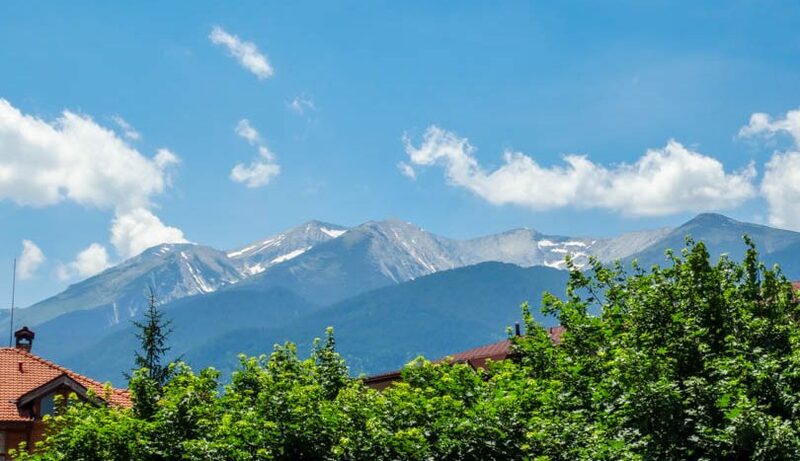 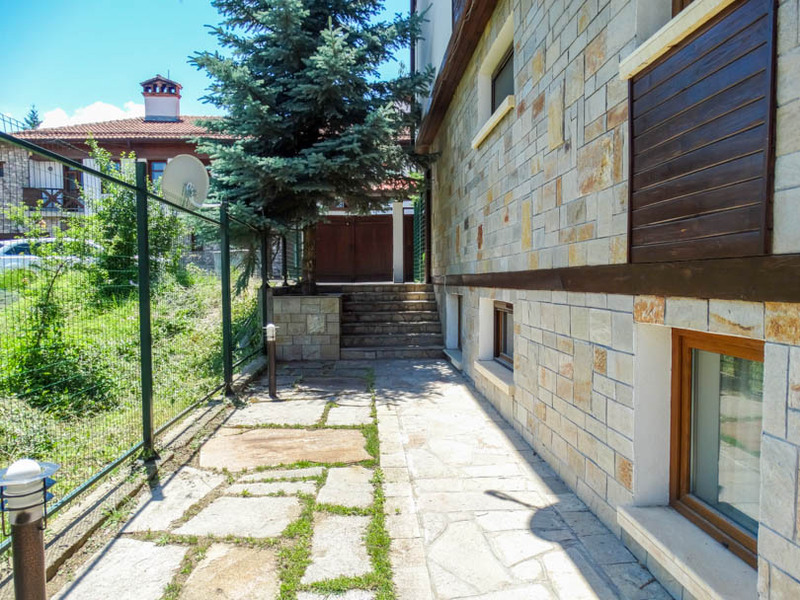 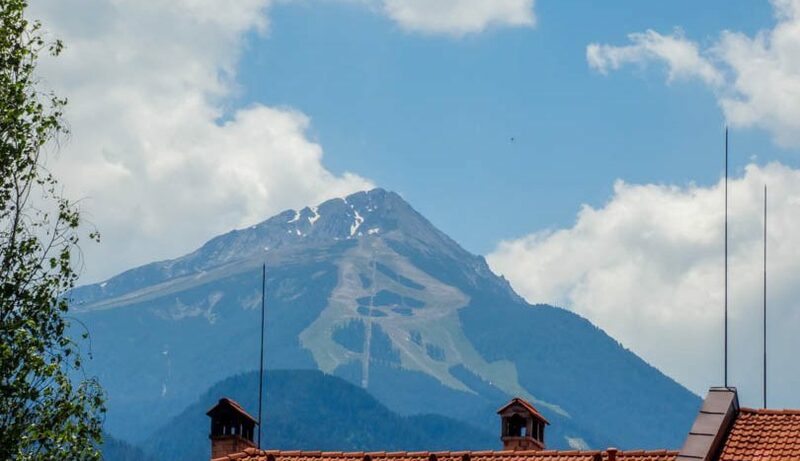 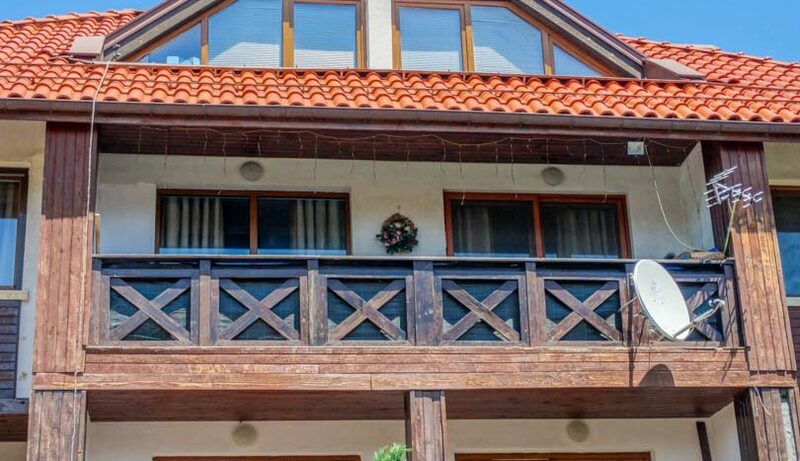 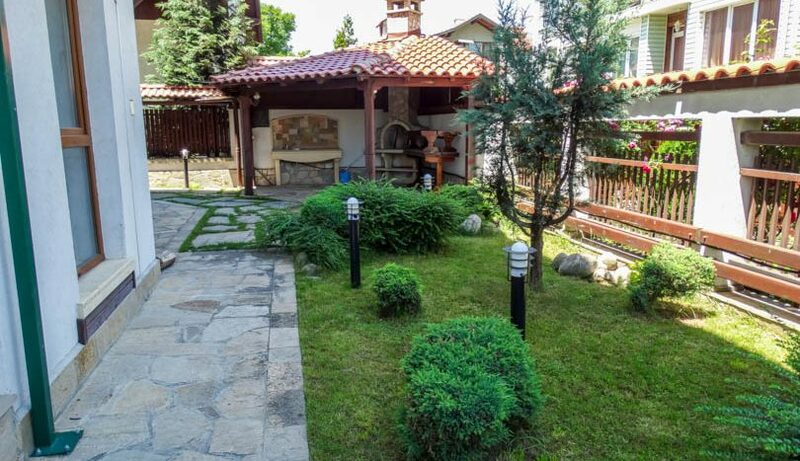 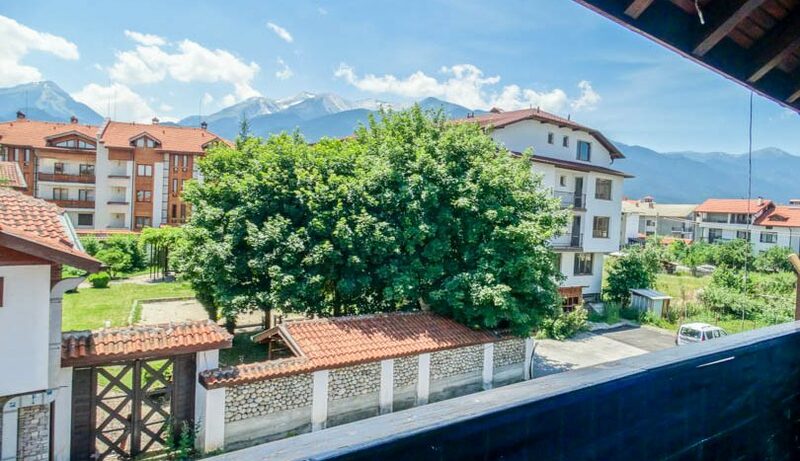 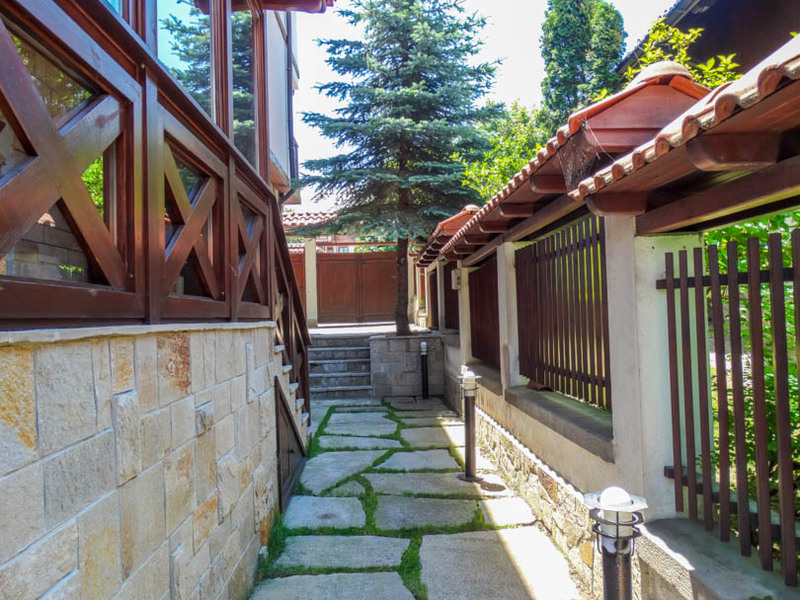 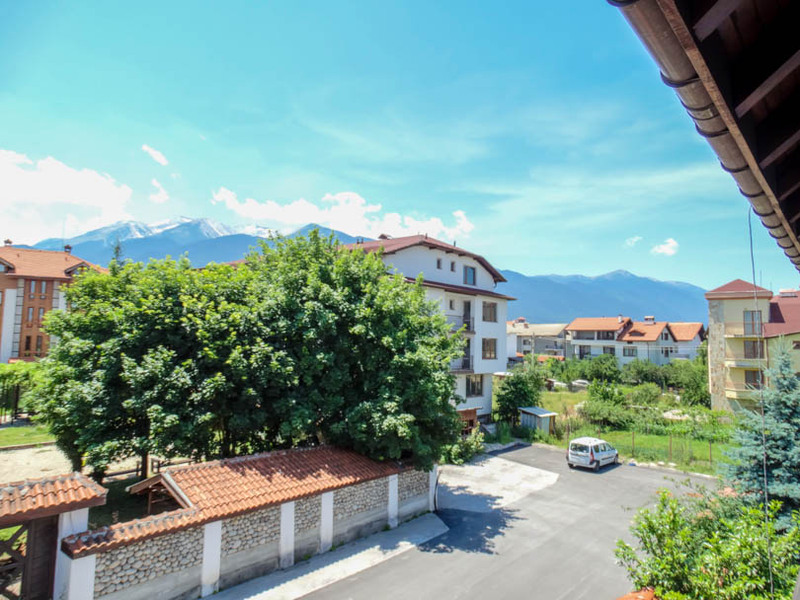 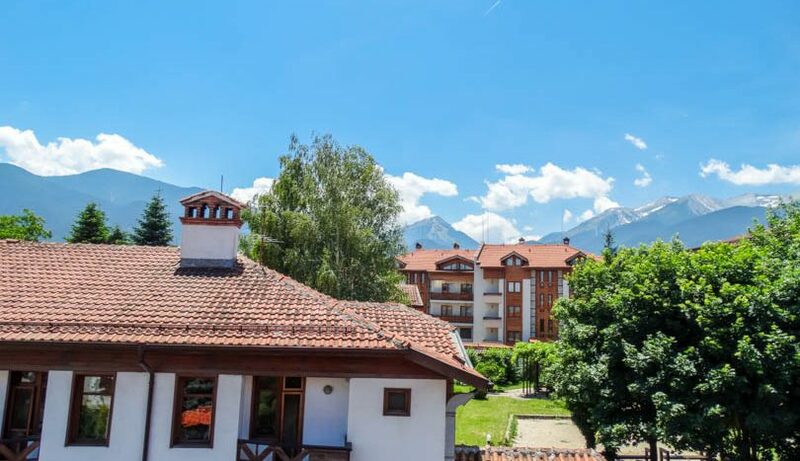 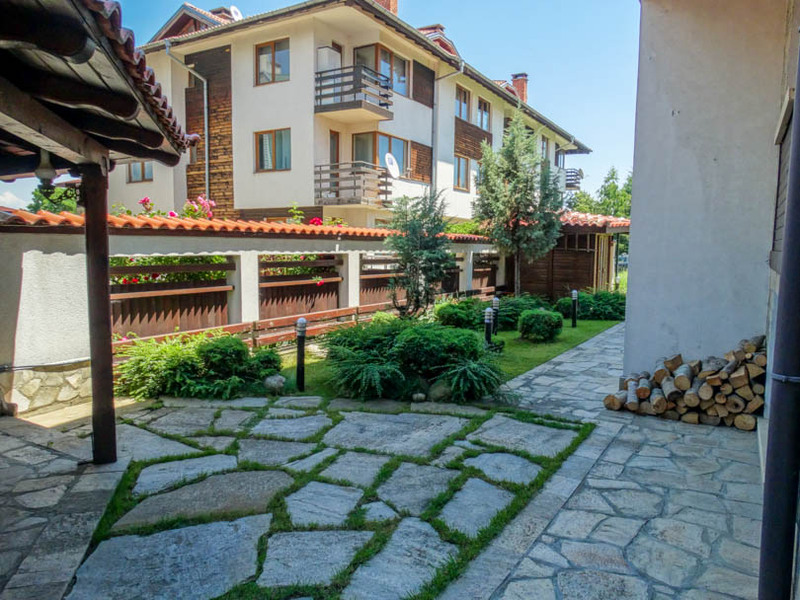 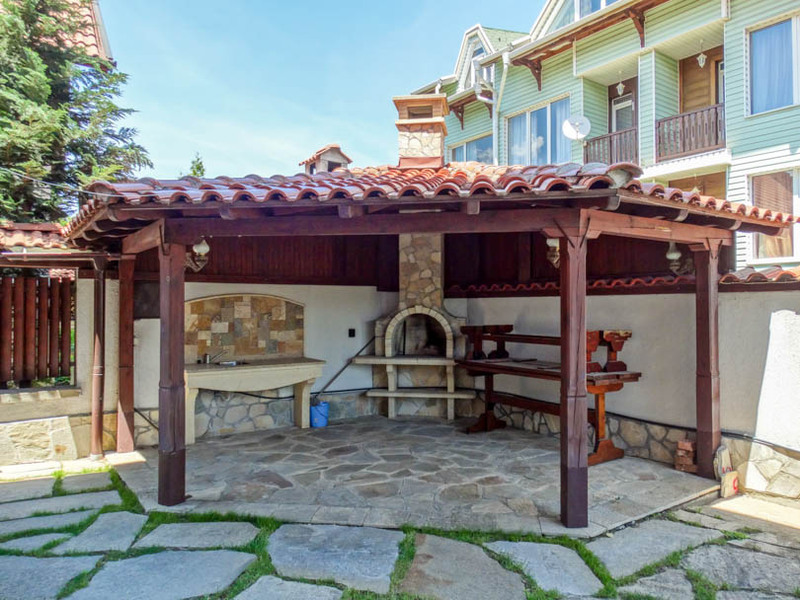 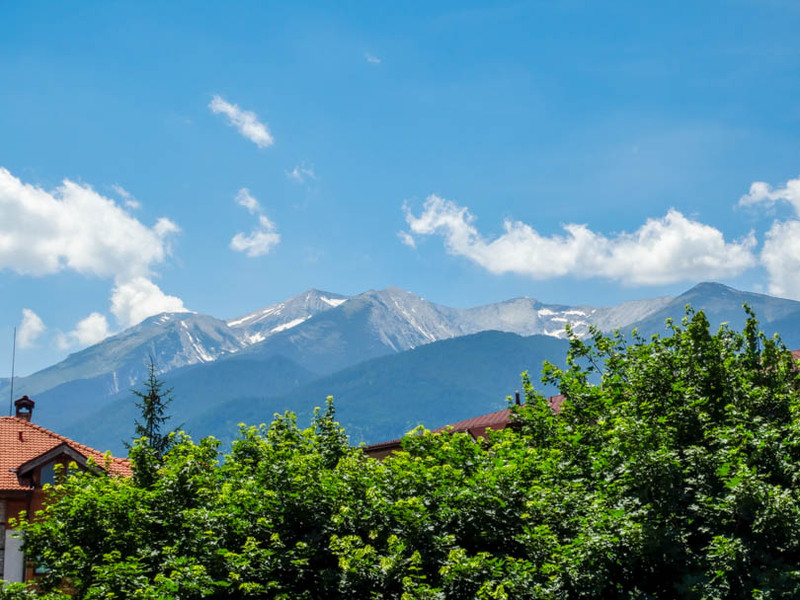 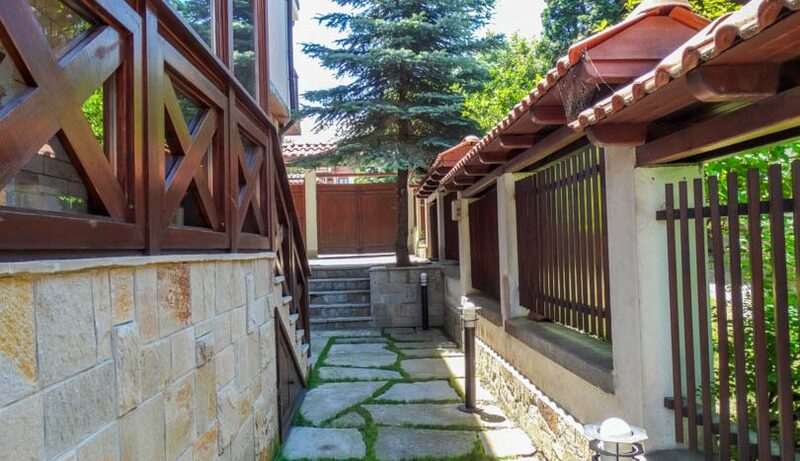 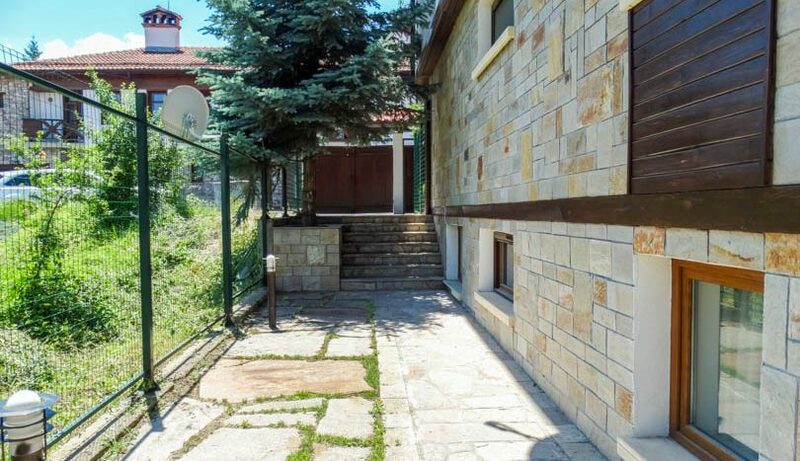 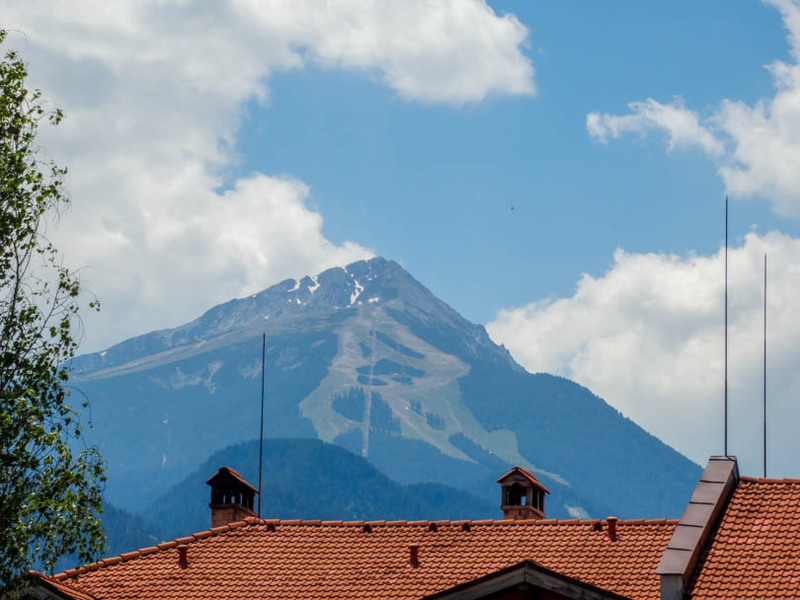 The property is located next door to the hotel Glazne in the western quarter of Bansko close to the river Glazne. 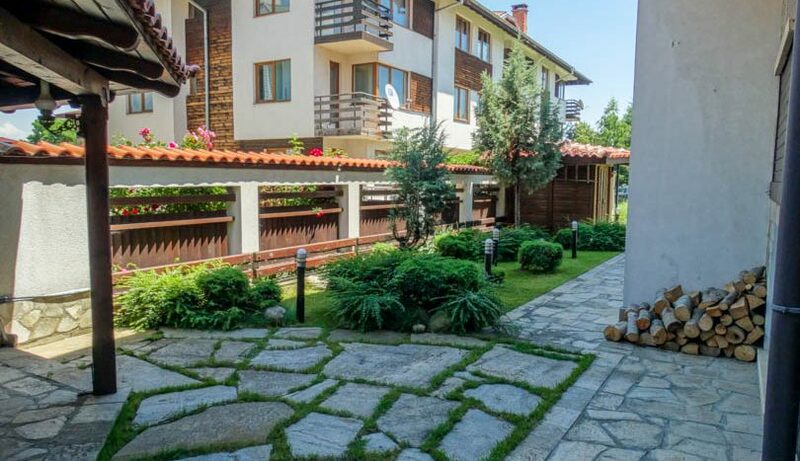 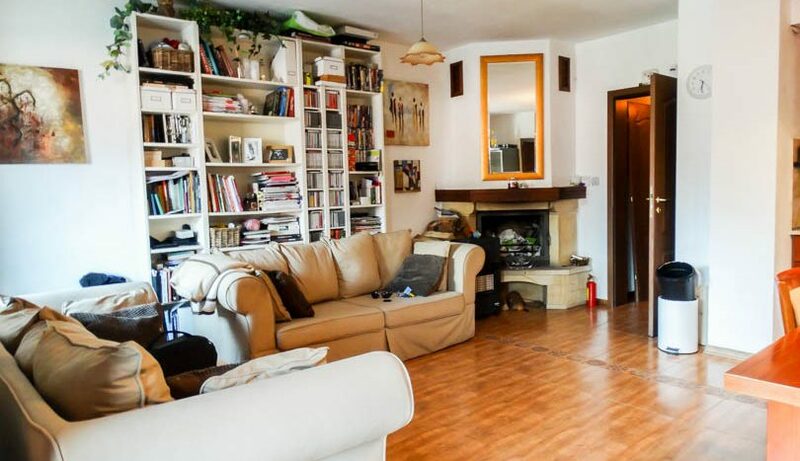 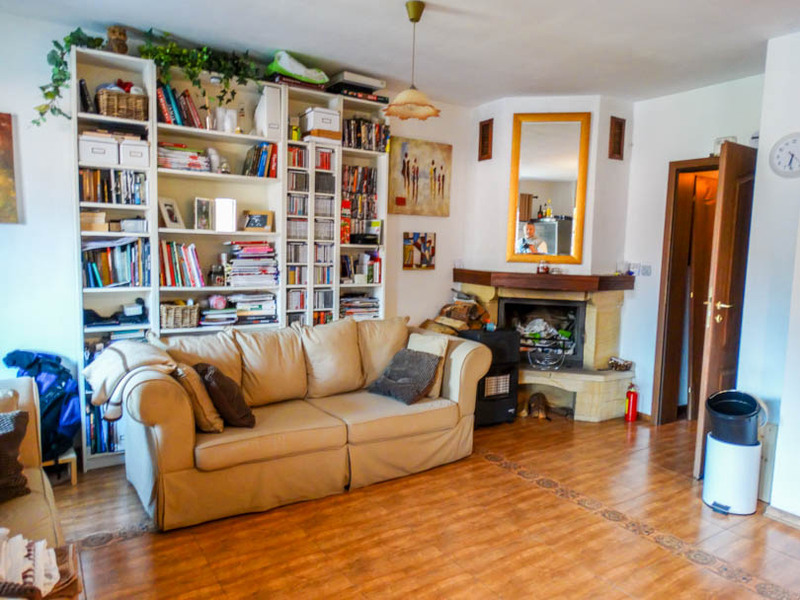 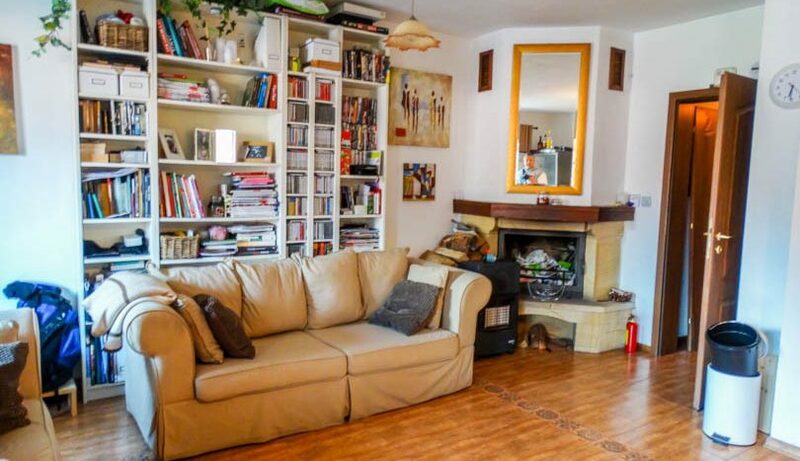 The property is south facing and situated on the second floor and is to be sold fully furnished. 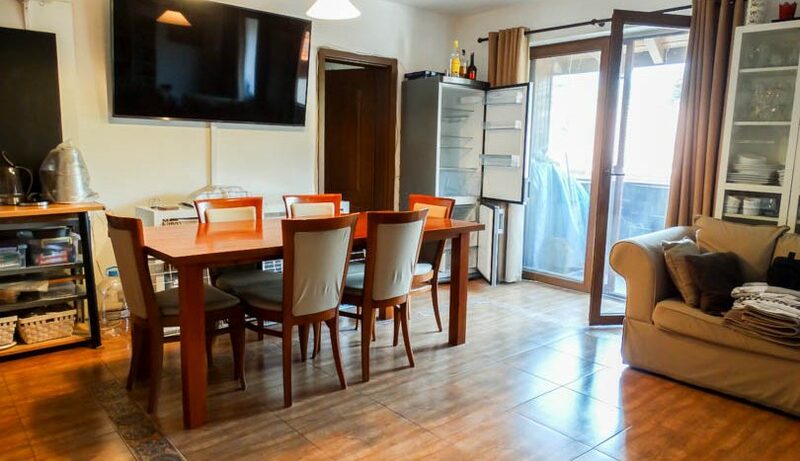 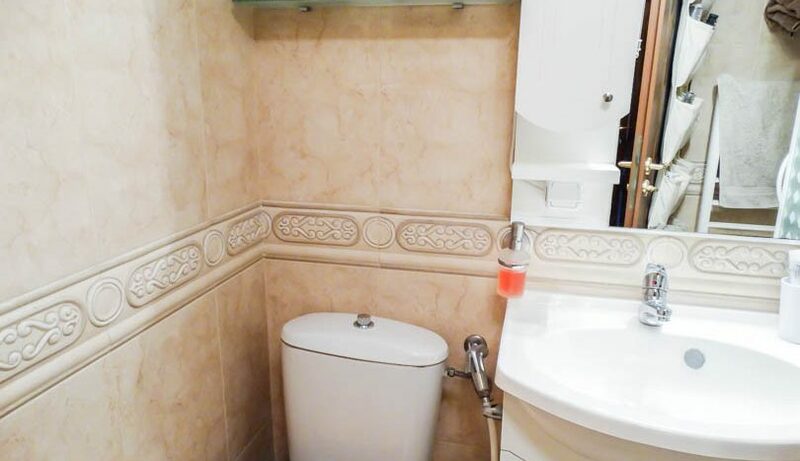 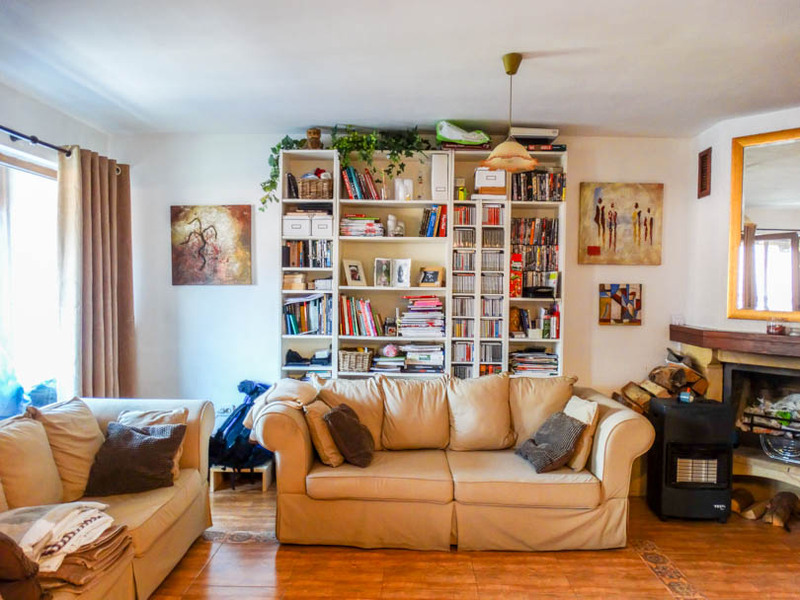 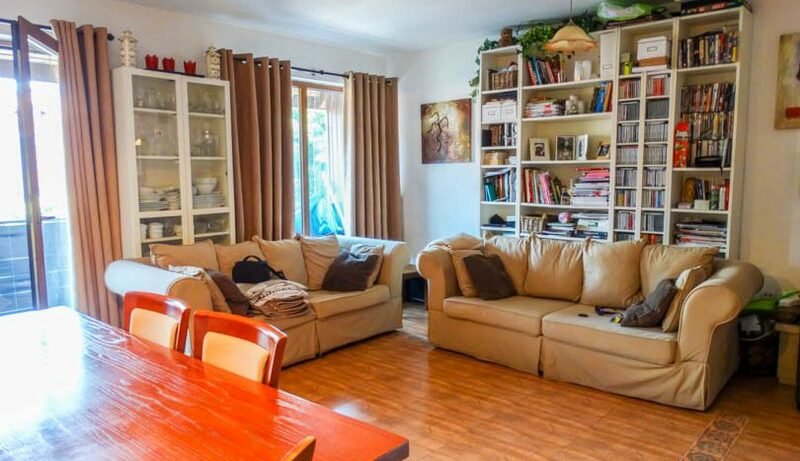 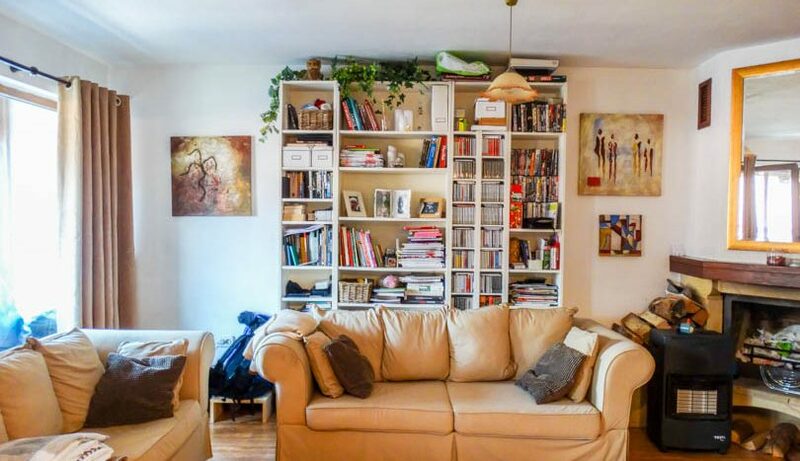 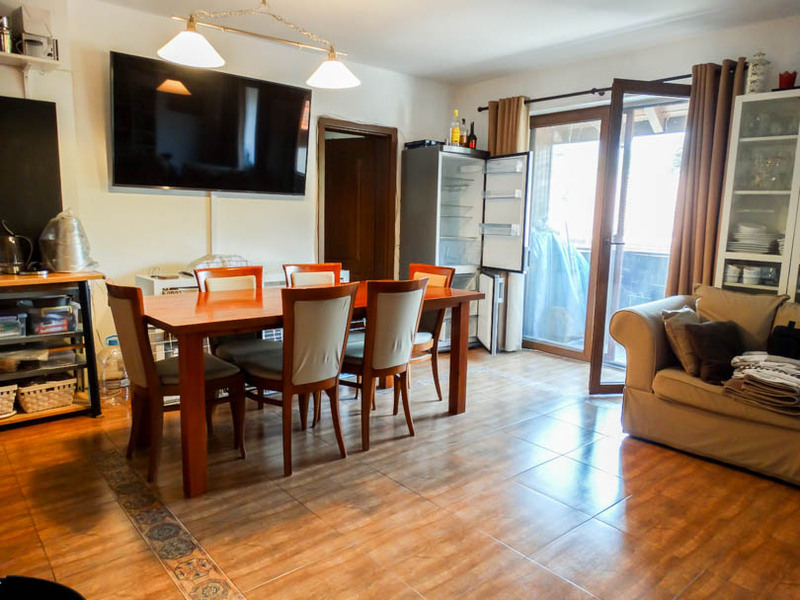 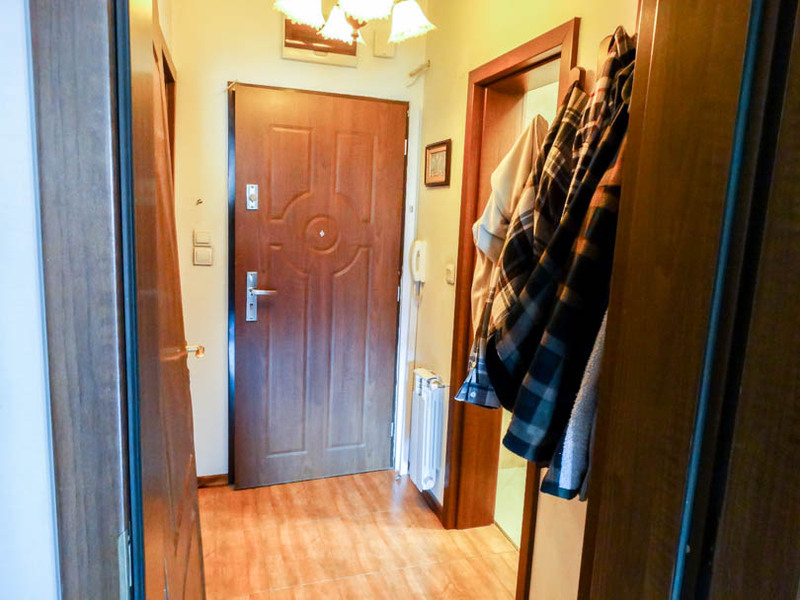 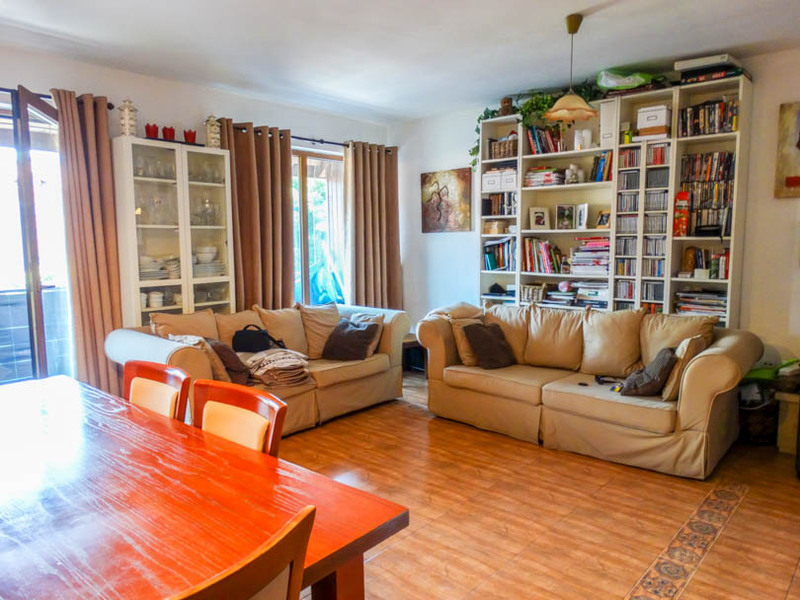 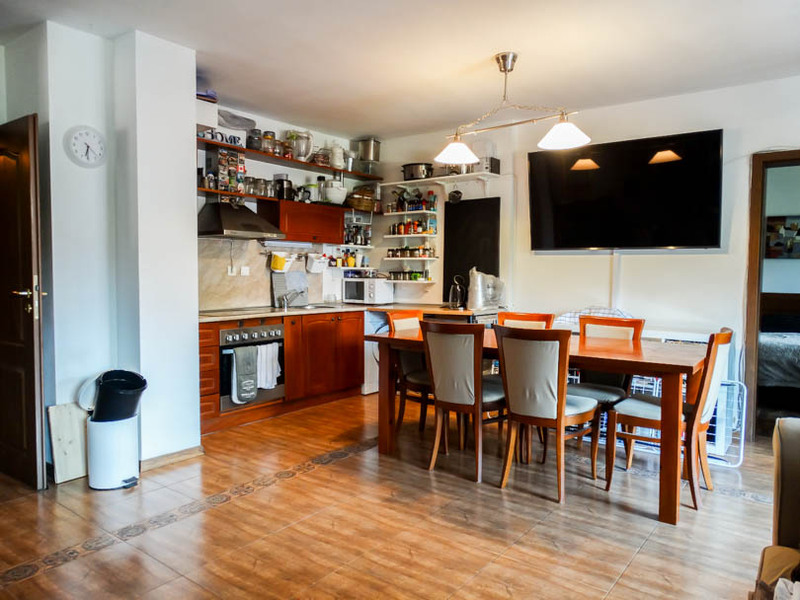 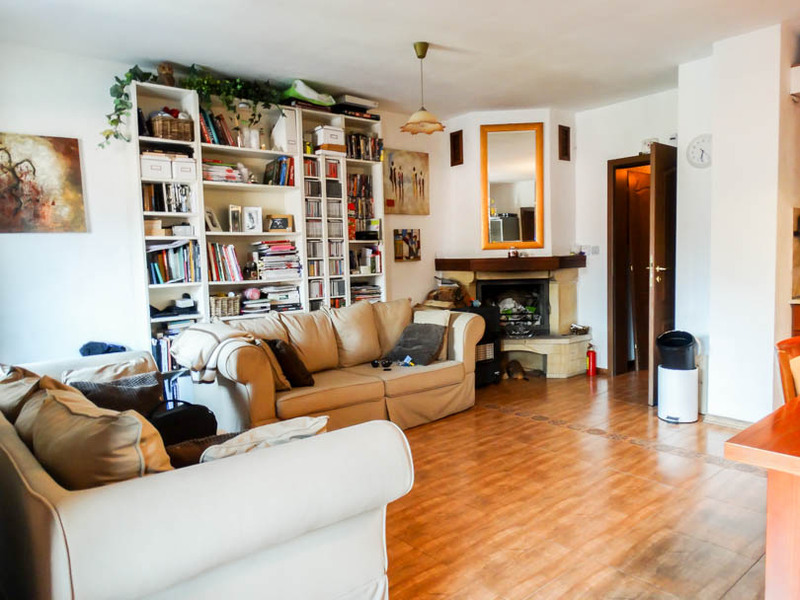 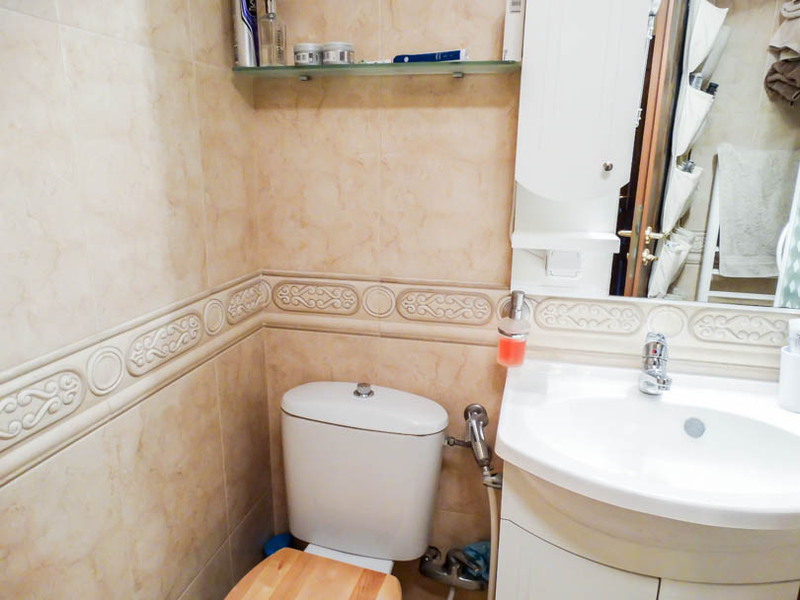 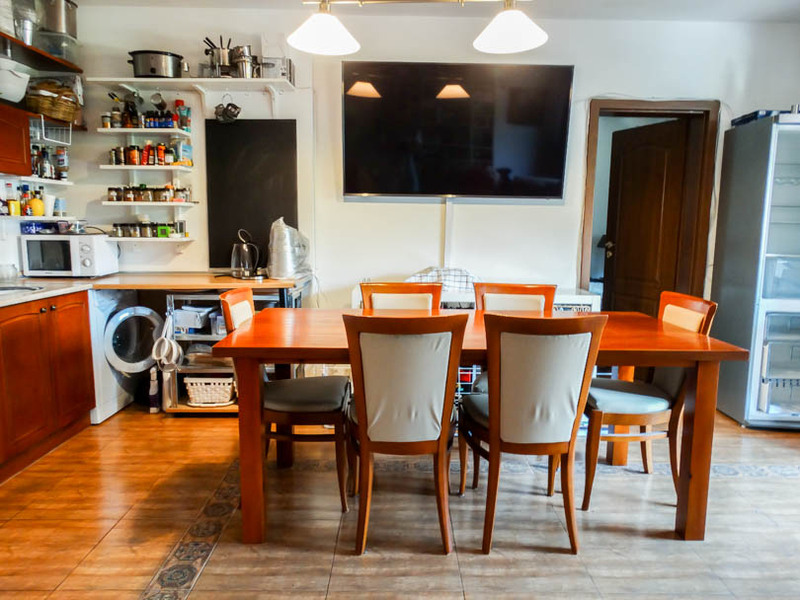 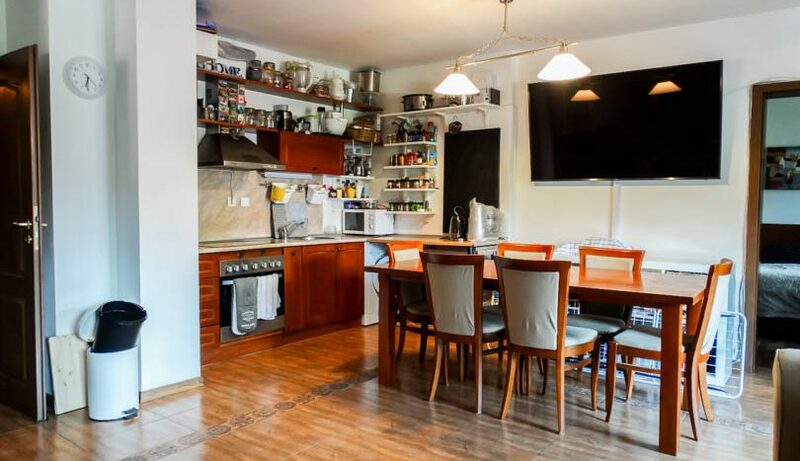 The apartment consists of entrance with storage, utility room with storage and boiler, fully tiled bathroom with shower cabin, fully equipped kitchen, lounge area with dining table/chairs , cozy open fireplace,2 sofa beds, and various storage units. 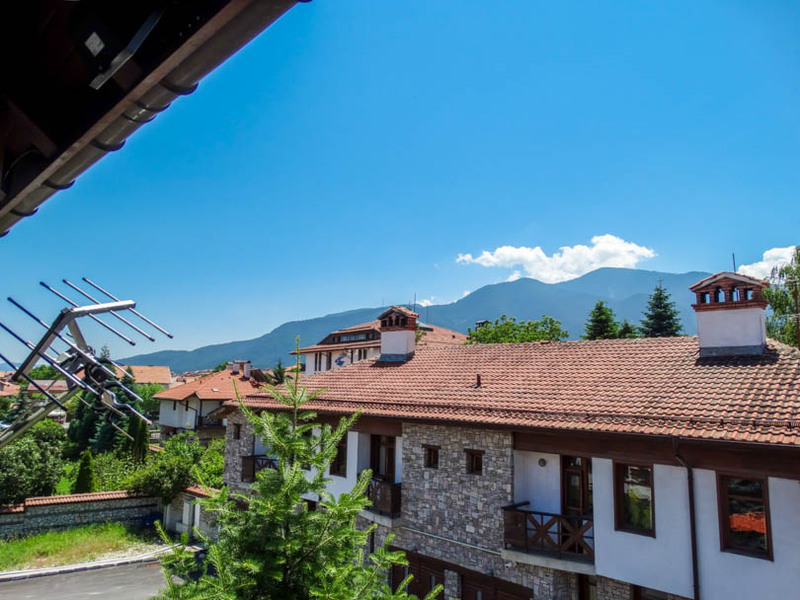 Patio door with sliding fly screen open onto the huge balcony which faces south over the Glazne hotel garden and mountains/ski slopes beyond. 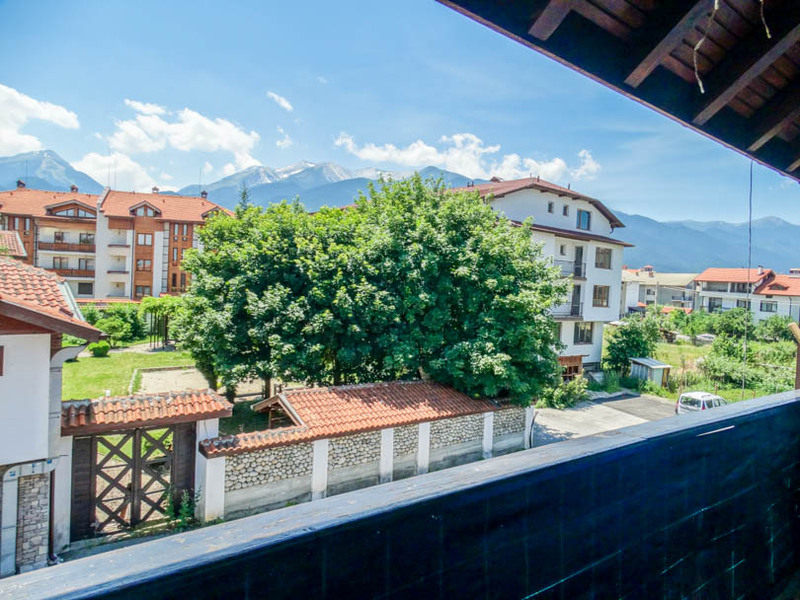 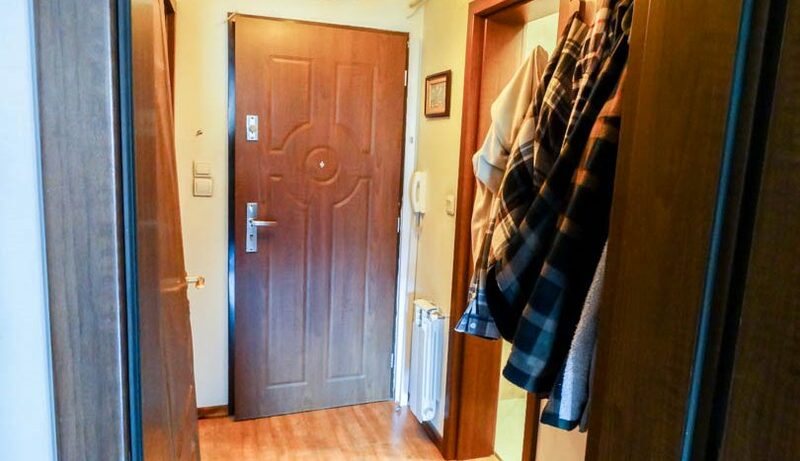 A door from the lounge leads to the double bedroom which has double bed/wardrobe and several storage units and the bedroom has 2 large windows which again benefit from views of the mountains to the south.